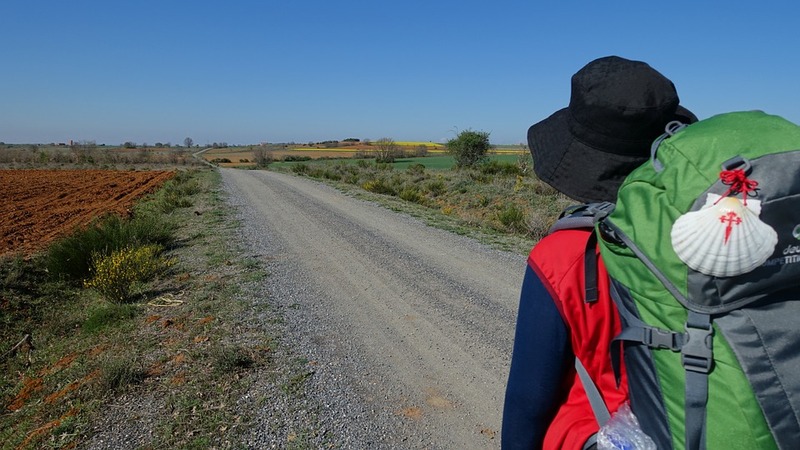 Pilgrimage on The Camino de Santiago (Way of St. James) in Spain. The purpose of a road is to get you from point A to B. Trails on the other hand, are built for the journey. My whole life has been one of a Spiritual Journey going down different paths and experienced a myriad of things along the way. Some good, some not so good, but each experience helped me to learn and value what I have kept within from the journey. I have always felt the hand of God in my life, prodding me in different directions when I get off the path I am suppose to be on! I have come to realize that God has a plan for me as well and He usually wins out in one way or the other! From the time I had my first Conversion of heart through my calling to be a Secular Franciscan I have felt led to a future of hope and meaning. We all have our conversion stories and leadings to be where we are now; how awesome is the Holy Spirit in directing us. He knew each one of us would someday touch each others lives and never be the same. What a wonderful community of Gods design! The journey is often what speaks to us and points the way instead of the destination. It’s the journey from here to there that points the way. . We are companions on the journey we believe in the love of our God; we have been gifted for each other.